Justin’s note: We’re doing something a little bit different today… and it starts with one of the smartest guys in finance – Whitney Tilson. You may not know him… but he’s the guy who bought Apple at $1.50 per share. He called the dot-com crash, the housing crisis, and more. So when I saw he was sharing some investing wisdom from his 20 years on Wall Street, I wanted to be sure I passed it along. I’ve learned a lot of things over my 20-year career on Wall Street. Whether it’s your trainer at the gym, a neighbor who has never shown any interest in the markets, or the proverbial shoeshine guy… when you hear these folks talking about how much money they’ve made in bitcoin, 3D printing companies, or the latest hot IPO… run, don’t walk, the other way. I’ve found, again and again, that when the least knowledgeable investors among all of the people I know are piling into whatever is hot, it’s usually very near the top of a bubble. On Tuesday, “America’s Most Arrogant Investor” released an important video. In it, he details an unstoppable, $565 billion technological development that should send 4 tiny stocks soaring. To watch it, just click here. But keep in mind, this man doesn’t mince words. The best example that comes to mind is the only time in my life I bought an oil stock… You guessed it – BP in 2010, just after the Deepwater Horizon oil spill. Shares had gotten absolutely clobbered, falling from around $60 in April to a low of $27 in June. The fear in the market – bordering on hysteria – was music to my ears. I’d analyzed the fundamentals and was convinced that the company wouldn’t have to file for bankruptcy… and that the stock was an incredible opportunity. 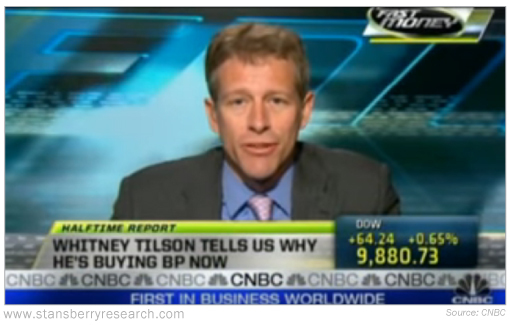 So on June 9, 2010, I appeared on CNBC’s Fast Money. What everybody’s missing here is this is truly one of the most profitable businesses on the planet. They have managed to screw everything up. There’s really no excuse as best I can tell in terms of allowing this disaster to happen. The PR has been horrific ever since. And BP is going to pay billions and billions, maybe even tens of billions of dollars for this debacle. Only have a few thousand for retirement? No problem… this $20 book can help. And he wants you to join his thousands of students that are learning how to also. So he is offering NOT ONLY this book, but a YEAR of instant access to his wisdom… FOR ONLY $20. If you only have a little money saved-up, this could be your best way to build a retirement fast. But only if you’re open-minded… and act before this deal disappears. When I looked at BP, I saw a company anyone would be embarrassed to own… And yet, it was a huge, profitable business – the kind that can weather a storm. Not only that, but it was trading at a dirt-cheap price compared to what it was worth. Those are odds I like in an investment. And as my years on Wall Street have taught me, it’s a setup you should always be searching for in the markets. Justin’s note: On Wednesday, April 17 at 8 p.m. 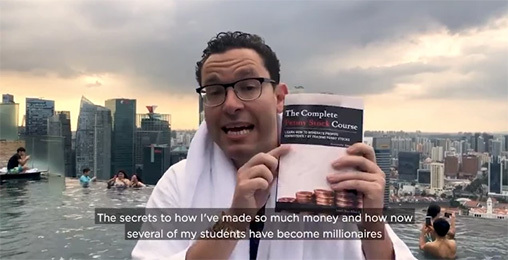 ET, Whitney is going on-camera to reveal the secret to his investing success… and announce the biggest prediction of his career. Just tune in online for free, and you’ll discover how he finds ideas that could double – or triple – your money. Go here for more details. Do you have any “embarrassing” investments? 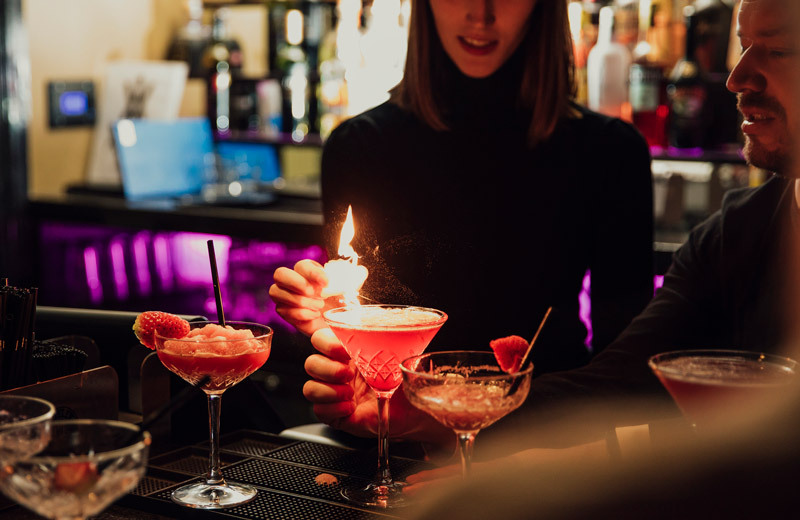 Do you scrutinize your holdings through a contrarian “cocktail party” lens? Let us know at [email protected].